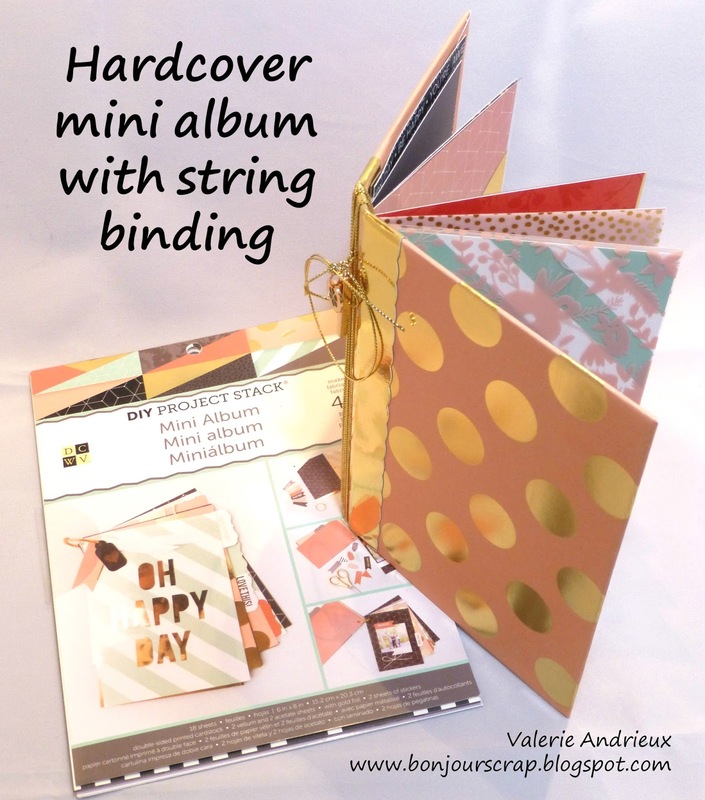 The DIY project mini album stack by DCWV contain everything you need to create an ring binding scrapbook very quickly. 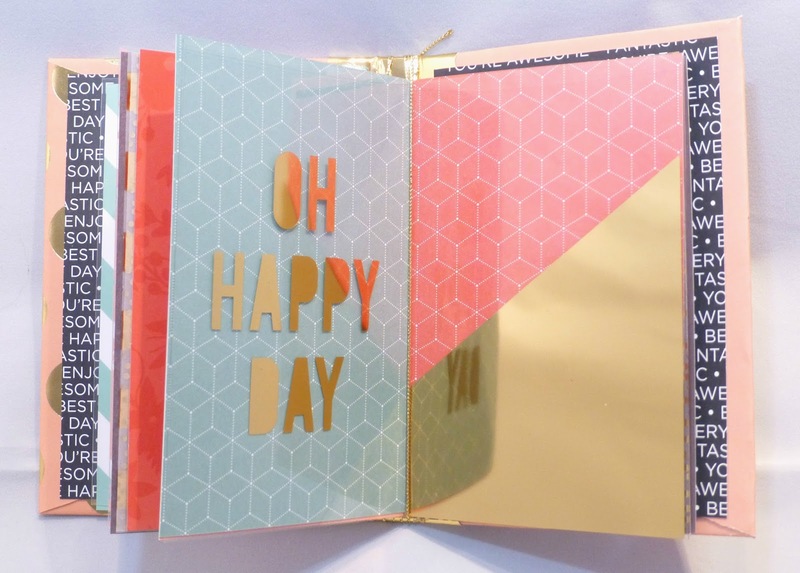 But when I saw some of the pages, I immediately thought of making a smaller album because some of the sheet can be cut in half to decorate the mini. So instead of cutting them, I folded them ! 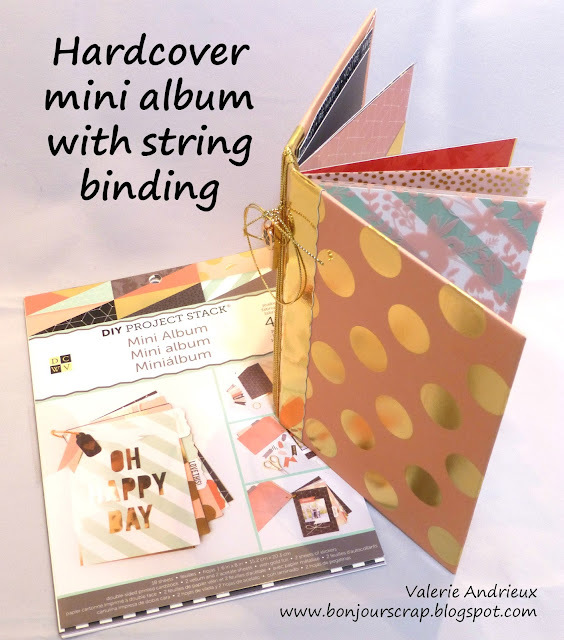 And by doing that, I did think about string binding instead of ring binding, but this need a hardcover for the album... So... 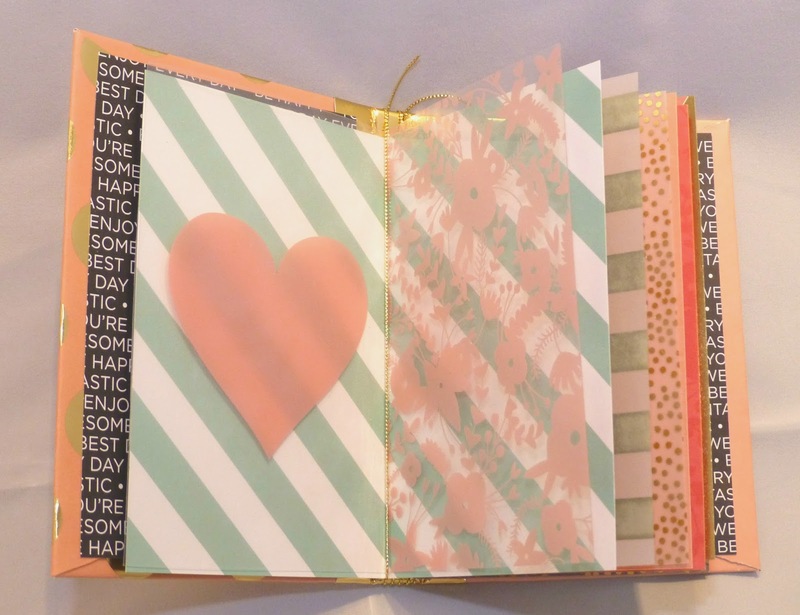 I made one with cardboard and masking tape ! The gold paper makes a beautiful reinforcement... To match it I use a gold string for binding. 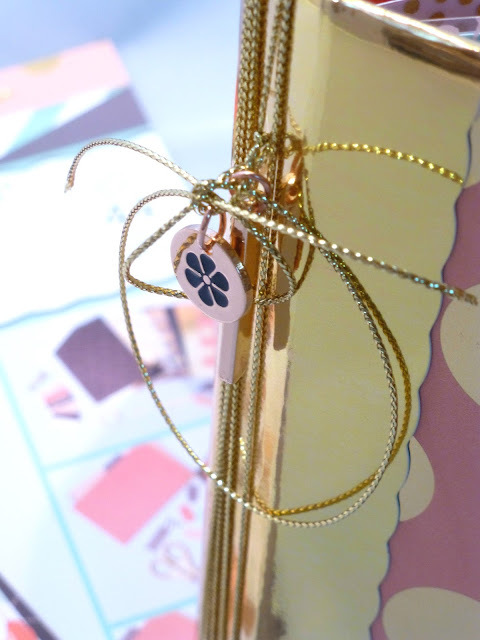 The cute charms by Blue Moon Beads are the perfect accents for this album ! Let's take a look inside... On the first page, I adhere the tracing paper with the string to mask the glue. I folded a transparency in half and bind it with with mint stripes paper. Love this combo ! I didn't show you all the pages but this album contains 14 pages to be filled ! And I only use one stack to create it beside the cardboard ! 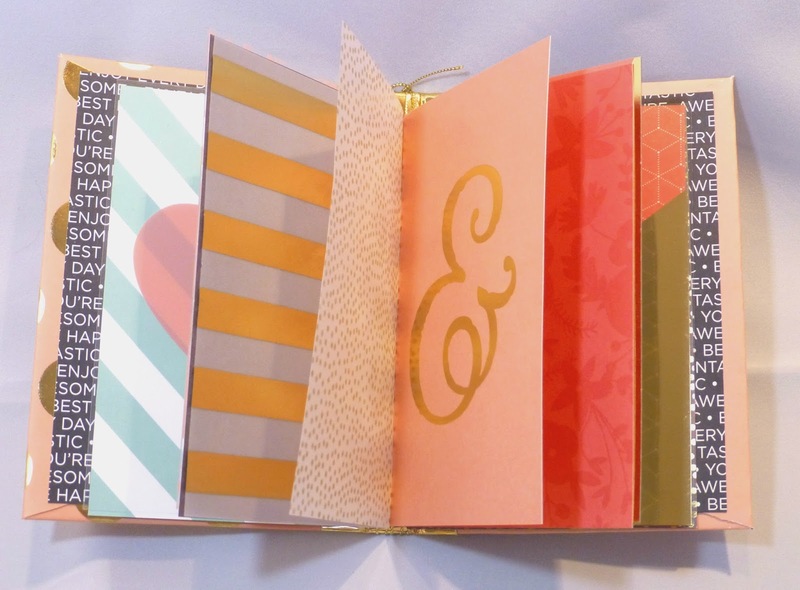 You can find this DCWV Project stack - mini album (as well as other projects) at Michaels. 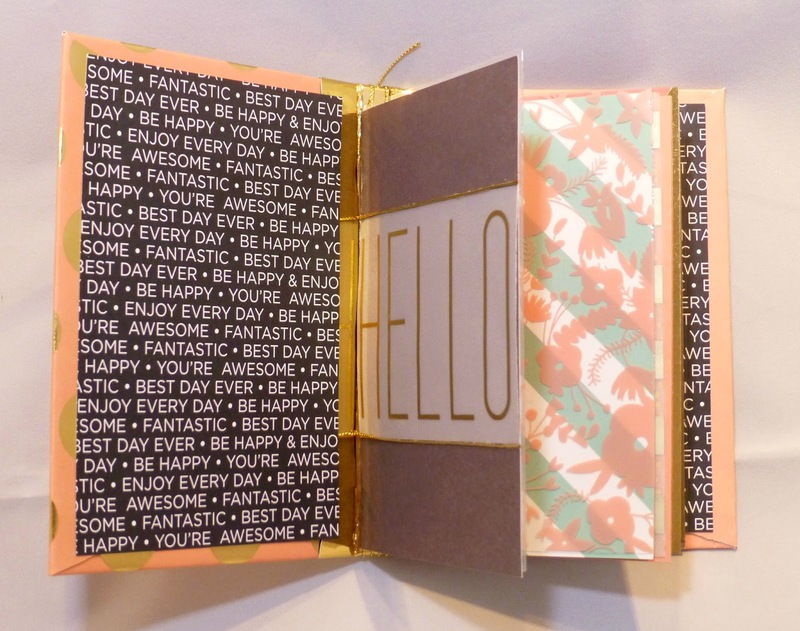 I did play with the mini envelope too (see my Instagram picture here).